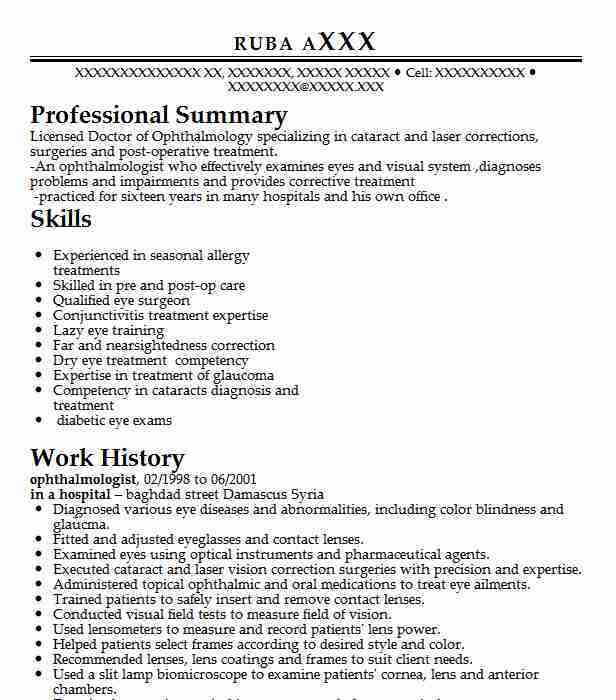 Talented Ophthamologist with extensive experience in treating injuries diseases and deformities of the human eye. Expertise in utilizing scientific methods to solve complex problems. 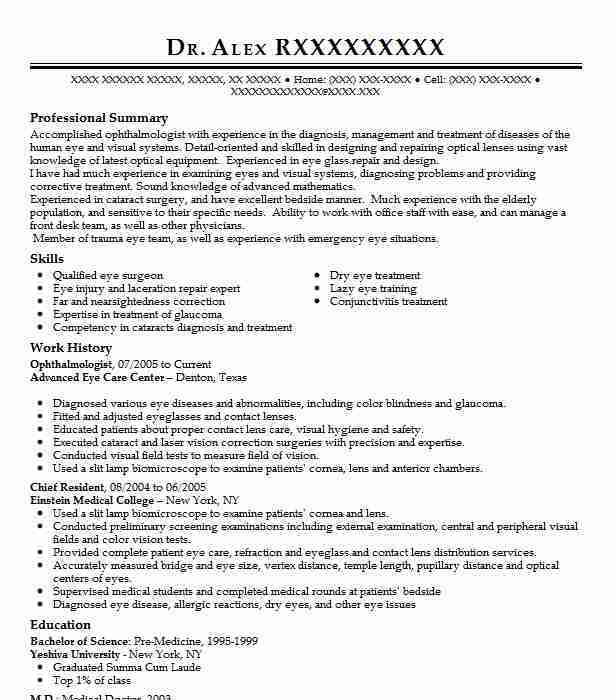 15+ years experience in comprehensive eye care. Operate ophthalmic instruments including auto-kerarefractometers and ophthalmoscopes. Test for intraocular pressure ocular motility and pupil size equality and reaction. Maintain organized records of customer prescriptions work orders and payments. Analyze test results to develop proper eye care treatment plans. Conducted ocular motility tests to measure function of eye muscles. Provided full-scope management of ocular infection inflammation and ocular trauma. 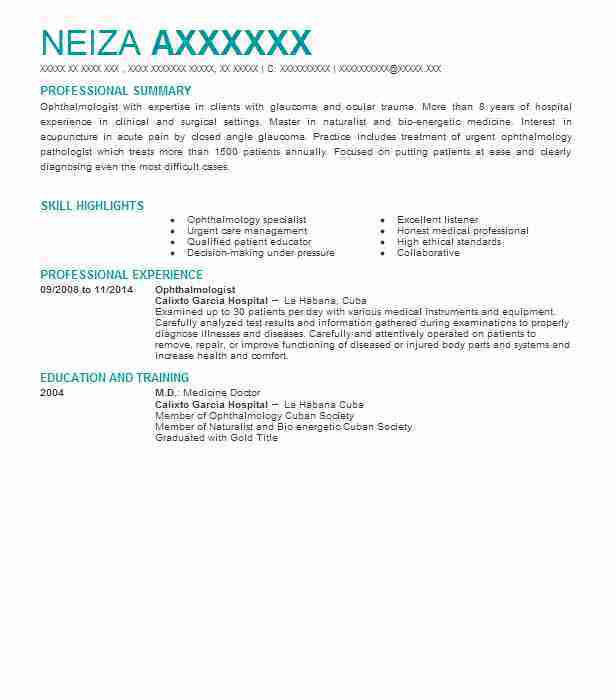 Diagnosed glaucoma anterior and posterior segment disease and neurological eye disease. Assessed refractive conditions of eyes with retinoscopes. Determined visual acuity and perception focus and coordination. Prescribed appropriate medications to treat eye diseases and infections. Routinely followed up with patients about their post-operative recovery status. 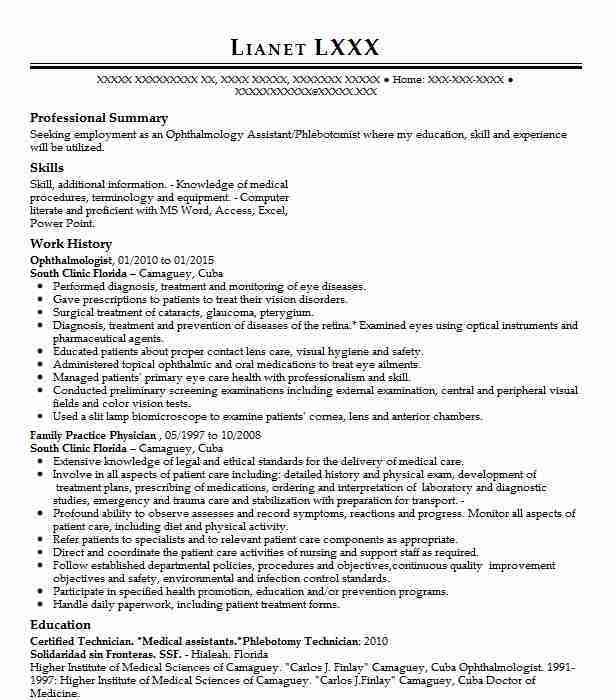 There are plenty of opportunities to land a Ophthalmologist job position, but it won’t just be handed to you. 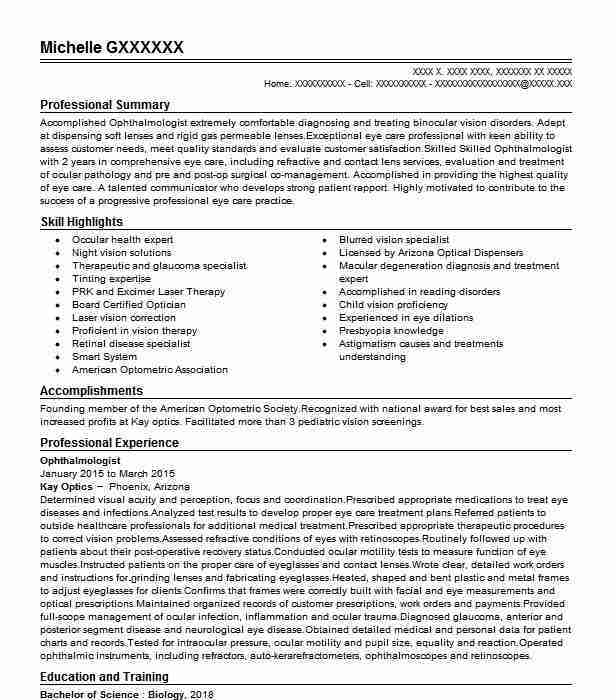 Crafting a Ophthalmologist resume that catches the attention of hiring managers is paramount to getting the job, and LiveCareer is here to help you stand out from the competition.